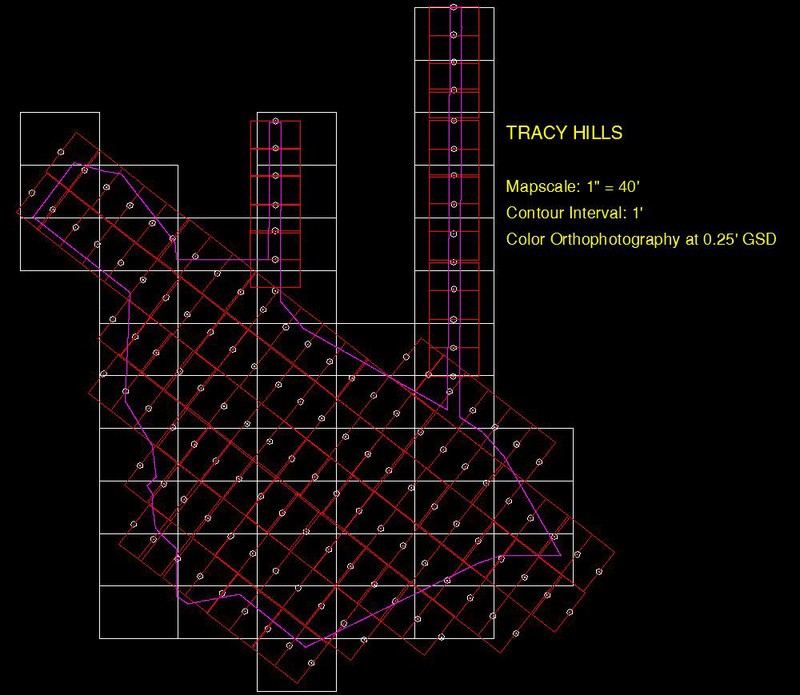 Tracy Hills Photogrammetric Mapping and Orthophotography Project — RJA, Inc. 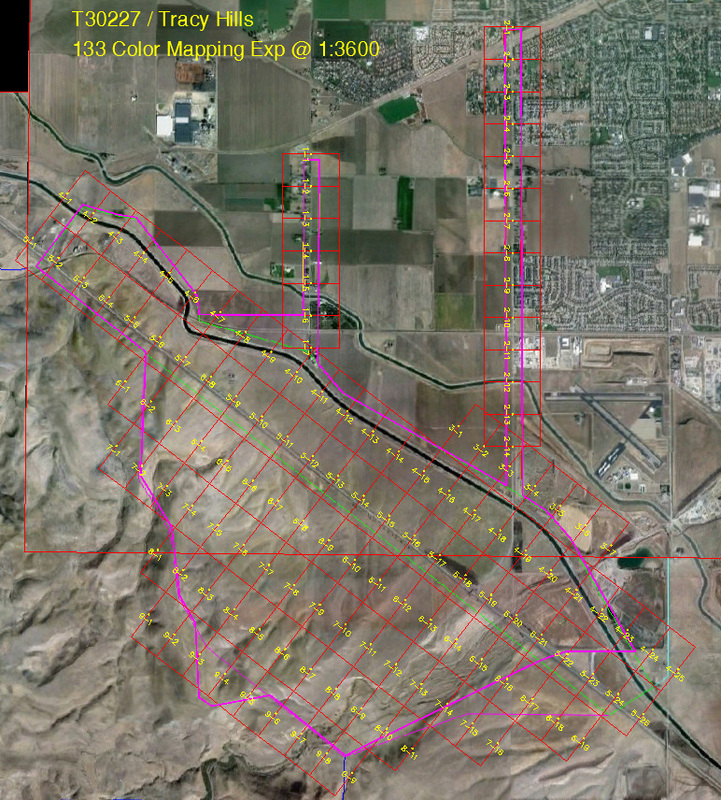 In November, 2012, Tetra Tech Geomatic Technologies Group was contacted by RJA, Inc., a California firm that supplies civil engineering and surveying services, and asked to produce photogrammetric mapping at a scale of 1” = 40’, with a contour interval of 1’. An accompanying set of 0.25’ pixel color orthophotography was ordered as well. The project location was generally to the south of the city of Tracy, California, and included sections of the California Aqueduct and Interstate Highway 5. Total area was about 4,000 acres, comprised generally of open, hilly terrain. The project design called for 133 exposures at a scale of 1:3600. The client provided ground control surveying, and placed 46 flight panels per design specification. Stereo collection was performed using Cardinal Systems’ VrTwo softcopy compilation workstations. The final delivery format for the mapping was AutoCAD, in Tetra Tech’s standard layer and block specification. Orthophotography was produced using OrthoMaster and OrthoVista software from Trimble-inpho. A total of 52 tiles were generated, and both the vector mapping and the orthophoto tiles were co-extant.